A legal "herbal mood enhancing" purple drank is showing up at drug treatment sites. A new specialty drink on the market is geared towards teens who are fascinated with Lil Wayne's hustler lifestyle but don't have access to the necessary accouterments like codeine cough syrup and promethazine that make up Weezy's purple drank of choice. Creatively named "Sippin Syrup," this "herbal mood enhancing" drink contains a "proprietary calming blend" of ingredients, including a list of supplements as long as your arm. It's been on the market for a couple years but is just now making its first appearances at urban drug treatment sites, where many recovery-ambivalent court-ordered stipulates are known to chug bottles of it to get a buzz that won't show up on a urine drug screen. Users say the drink gets you very intoxicated, and is available at corner bodegas. 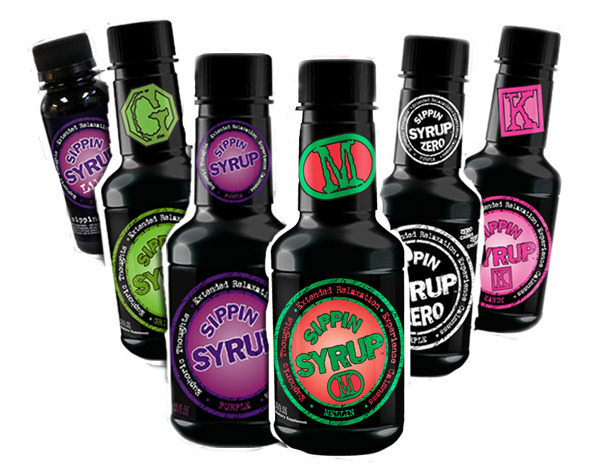 It's unclear whether Sippin Syrup contains any synthetic narcotic component in addition to the herbal supplements listed on the label. Some say that the drink pairs well with K2 synthetic marijuana, which is expensive to drug test for and is a popular stand in for weed for those under probation supervision. And if K2 gives you the munchies, there's always Half Baked Brownzzz brand brownies containing more of the Sippin Syrup proprietary blend.